From what I've gathered, the Unique Games series has been one of the most popular recurring features on FRGCB, so I decided to do one more before I make my exit from the blogosphere. Happily, I still managed to find enough of unique or at least exclusive games since late September to get a good, hefty set; some platforms feature six games, some only five, sometimes for a good reason, sometimes not. As a thanks for all your support on the series, here's the last serving of Unique Games for a slightly belated Christmas present, and it's a long one! Enjoy! Written by Stavros Fasoulas for the Commodore 64, with music by Rob Hubbard and title screen by Bob Stevenson. Released as "Delta Patrol" in North America by Electronic Arts. Converted for the Sinclair ZX Spectrum 48k/128k and SAM Coupé computers in 1990 by Twilight: Jason McGann, Andrew Swann, Peter Tattersall and Mark Mason (details unknown). Released by Thalamus Ltd. as "Delta Charge!" in 1990. NOTE: Different sources list slightly differing credits, so this is a compiled list of all those. If anyone has any real information, throw in a comment. Designed and developed by Bloodhouse for the Commodore Amiga: Programming by Harri Tikkanen, Jussi Hartzell and Mikko Hämäläinen. Graphics by Celeborn Hagelberg, Jani Isoranta, Mare Ollinkari and Sampsa Virtanen. Sounds and music by Risto Vuori and Bassbomb. Miscellaneous stuff by Petri Putkonen. Conversion for the Atari STE/Falcon030 developed by Aggression: Programming by Jani Penttinen, Rene Kivioja and Tomi Kivelä. Sounds and music by Risto Vuori and Tero Kostermaa. Conversion for the IBM-PC compatibles developed by Francis Pierot, and published in 1995. 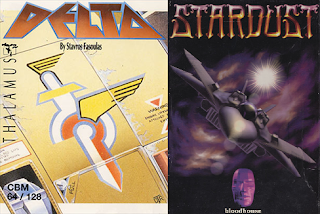 For my final Finnish Independence Day special, at least until further notice, I chose to examine two of the most famous classic Finnish shoot'em-ups. 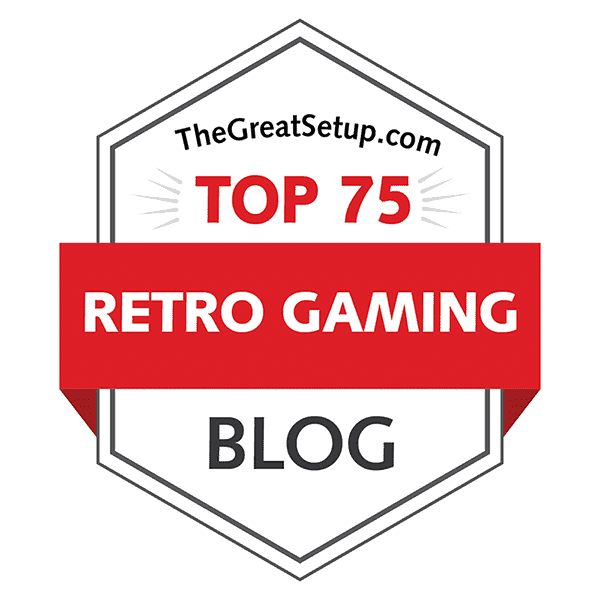 The first one takes a look at how Thalamus cemented their name in C64 publishers' hall of fame, and later attempted to repeat the success on the ZX Spectrum. The second one was made originally, and for a long time, exclusively for the 16-bit home computers by Bloodhouse, who later merged with Terramarque into one big powerhouse called Housemarque. That's two cornerstones in Finnish gaming catalogue that no-one should miss.